The hour of the Boston Marathon bombings I was at a playground with our seven-year-old daughter Hannah. We heard sirens upon sirens but didn’t think much of it. Sirens aren’t unusual in the greater Boston area and we weren’t close enough to realize what was happening. We got back home to multiple emails and calls from friends afar asking if we were okay; we were. And yet, in the hours that followed, I began to worry. I worried that there would be more to come; a series of bombs, perhaps for days on end. I worried about how we would explain this to Hannah. I worried that the perpetrators would turn out to be people who identified as Muslim and claimed that the act was religiously-motivated, because this would deepen the bias and violence against a community that already suffers from such. MIT is at heart a community of problem solvers, and to solve problems you need information. Most particularly, I worried for those I hold close to my heart, especially the students and MIT community members I get to serve as Lutheran chaplain there. Thanks to Facebook and other electronic means, I was able to check in with them; all were safe and accounted for, but shaken. Some were awaiting word about the safety of friends who’d run the Marathon. Others were re-experiencing prior traumas and the body memory of such terror. Many spent hours plugged in to multiple news sources, social network sites, and live feeds, looking for new information or insight into what had happened. MIT is at heart a community of problem solvers, and to solve problems you need information. These students are brilliant and creative at imagining technical and scientific possibilities; this can make ambiguity hard to live with. As Monday turned to Tuesday, and the uncertainty persisted over who placed the bombs and why, my worry began to morph into full-blown, physically manifest anxiety. I blamed both parenthood and becoming a pastor; prior to having persons for whom I felt so intimately responsible, I was able to weather horrible news by intellectualizing it, moving almost instantly to social and political analysis. Now it felt as though my near ones were more vulnerable than ever, and I was helpless to do anything about it. How ridiculous, I told myself; you and yours are just fine. You were not at the blast site; you do not know any of the people who were seriously injured or killed. People in vast swaths of the world — Afghanistan, Pakistan, Syria, Iraq — live with this kind of terror daily, at times due to U.S. drones and other weapons. This comparison did not help … at all. I know this as a chaplain. The way to compassion and hope does not lie in condemning one’s self for feeling scared and small. It comes from gentle acknowledgment of our limitations and then turning toward sources of hope and help; things we Lutherans like to call “means of grace,” which are by necessity incarnate, tangible, and near. I spent the day plugged in via email and phone. My husband and I explained just enough to our daughter about the sirens, helicopters, and bomb squad units in the neighborhood, and why we couldn’t go to the corner playground. 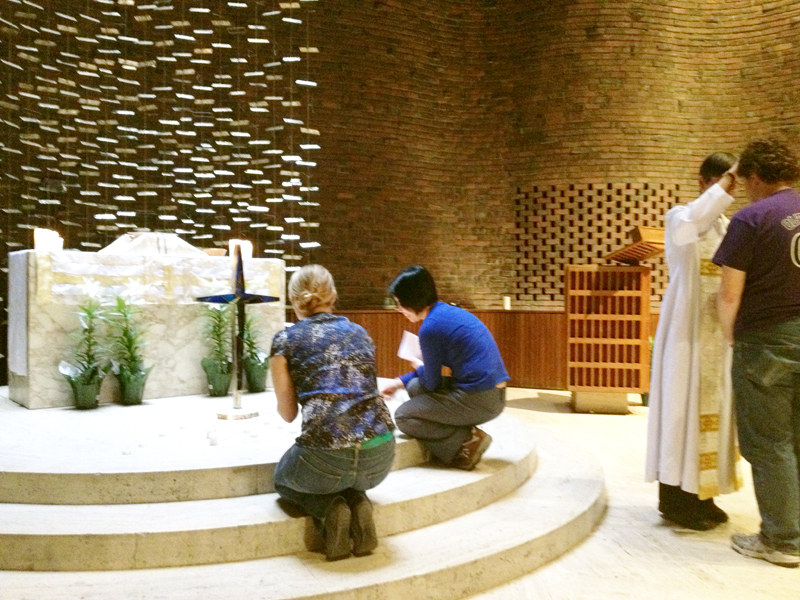 On Wednesday, roughly 28 hours before MIT Police Officer Sean Collier would be killed on our campus, students and other members of the Lutheran Episcopal Ministry @ MIT gathered in the stillness of MIT’s chapel to quietly set the space for our weekly worship. I scrapped my sermon, and instead had people read passages of scripture in which God tells us not to be afraid, to trust that God is at hand. We offered the rite of healing. I got to lay hands on shaken foreheads and inscribe and name each one with holy oil and the assurance of God’s love for them. We shared in the holy meal of Christ’s presence and took in the promise that we are one with God, and so wherever we go, God is already with us. Late the following night I got a call from our student president asking me if I’d seen the MIT alert. I don’t keep my students’ night owlish hours, and so had logged off for the evening long before. “Apparently there’s a live shooter on campus” was his report. He was tucked in safely in his apartment; another student connected with our ministry was stuck in his lab in a building near the shooting site, shaken and fearful of what might come. Eventually he was allowed to leave and got safely home. Friday we sheltered in place. We happen to live in Watertown, several blocks east of the shoot-out with the suspects and about ½ mile from where Dzhokhar Tsarnaev was eventually found. My body was tucked in at home but my heart was divided between my desire to remain close to my family and the urge to be on campus, even though there was little I could do there. And then the immediate threat was over. The second suspect was caught. We exhaled and cheered, audibly in Watertown; students tell me whole dorms erupted in applause. The anxiety lifted so quickly that it took me by surprise. Now, several weeks later, the community continues to recover. A sense of solidarity and connection still lingers. People from communities across the country and world — Newtown in Connecticut, Aurora in Colorado, rural Minnesota, Syria, and Pakistan — continue to send cards and letters to our congregations and communities, telling us that they are holding us in prayer and that we are not alone. And, indeed, we are not. 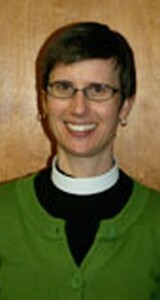 Kari Jo Verhulst is Lutheran chaplain to MIT, and a chaplain for the Hospice of the Good Shepherd. She lives in Watertown, Massachusetts, with her husband Ernesto and their daughter Hannah.